"Uh, guys, I don't taste anything. Guys? Is something wrong with me?" Having the ability to survive in nature is definitely an ability worth having. Some people use it for different things, such as hunting, building camps or even gathering plants to eat. All of that time in the woods also leads to great stories, such as those in Lumberjanes: Makin' the Ghost of It Special 2016 #1 from kaBOOM! Studios. 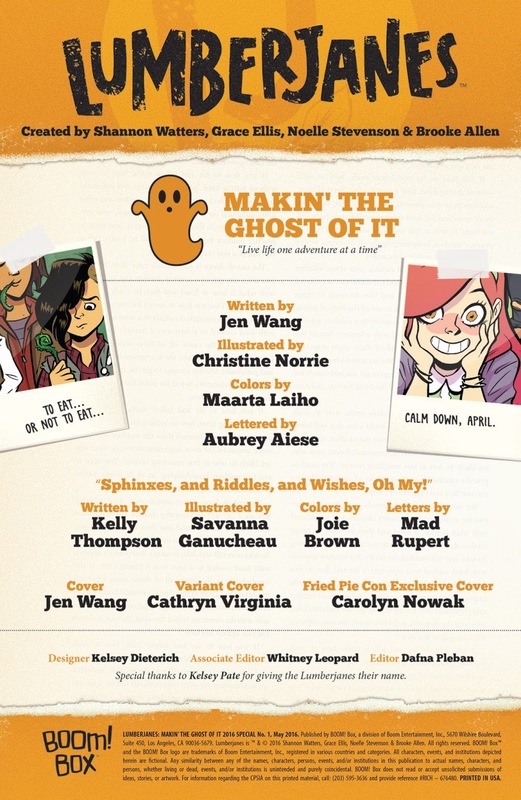 "Makin' the Ghost of It" is written by Jen Wang, illustrated by Christine Norrie, colored by Maarta Laiho and lettered by Aubrey Aiese. "Sphinxes, and Riddles, and Wishes, Oh My!" 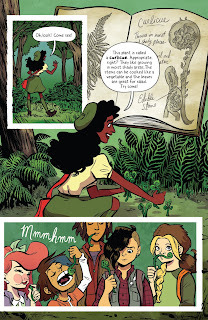 is written by Kelly Thompson, illustrated by Savanna Ganucheau, colored by Joie Brown and lettered by Mad Rupert. Jen takes the girls on a nature walk to show them which plants are edible in case they need to survive in the wilderness. Along the way, she tells them the story about an axe murderer who took his friends out, one by one until no one was left, thoroughly scaring Mal. Terrified and unable to sleep, Mal thinks she sees something lurking outside. Is it…THE AXE MURDERER?! In the second story, Ripley recounts how she saved Jen’s life—but did it go down as fantastic as she claims? 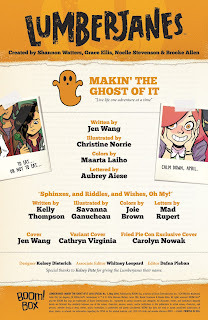 There are two stories in Lumberjanes: Makin' the Ghost of It Special 2016 #1 and the first one by Wang is a lot longer. 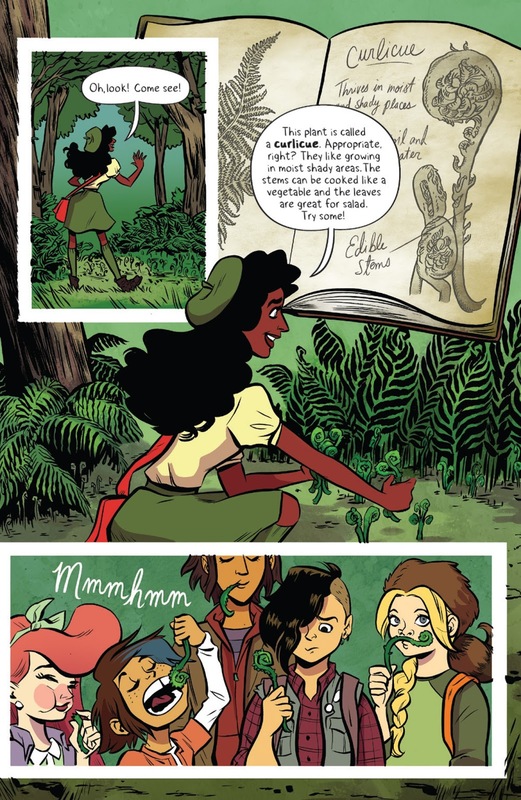 Wang's approach is one of a campfire ghost story and she relies on that trope to propel the narrative for the Lumberjanes as they seek to reconcile myth with reality. 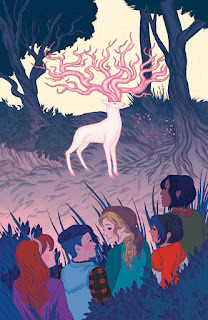 Wang doesn't let the spectre of a ghost story derail the story though en route to that reconciliation, giving the characters plenty of time to enjoy the scenery and have a few laughs along the way. And all the characters clearly have a great rapport with one another that Wang successfully taps into for keeping the story moving along. And Thompson's work in the second story is a lot more streamlined because it's shorter, but she still clearly had a great time writing the story for the characters. 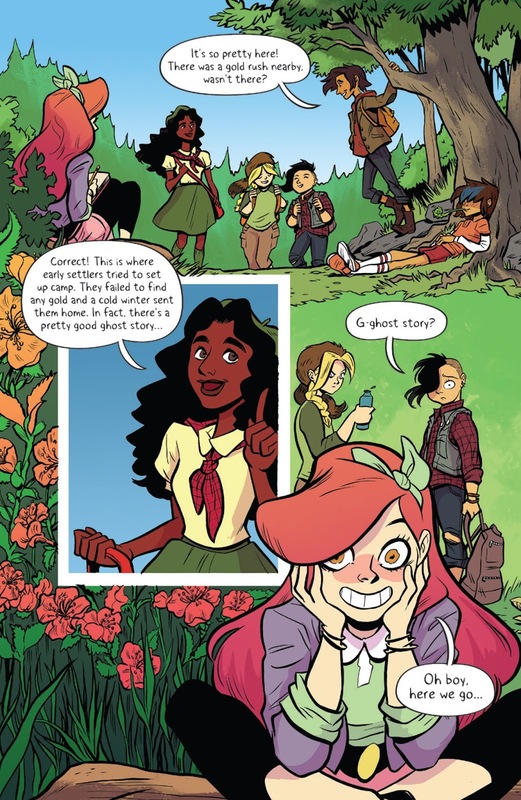 There's a very vibrant feel to Lumberjanes: Makin' the Ghost of It Special 2016 #1 that belies the otherwise seemingly dour subject matter. 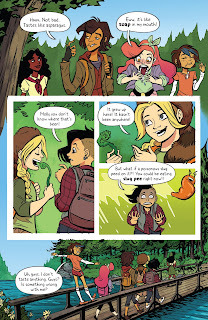 Norrie illustrates the characters with plenty of bubbly personality and clean lines throughout, all of which allows each character to sport their own unique personalities. Ganucheau offers a similar approach through her take in the second story, although she does get the chance to showcase a slightly more mature take on things with her rendering of the Sphinx. The panel layouts in both stories are generally pretty straightforward, but there are a few instances where insets and overlays break up the look of things visually. The colors by Laiho and Brown further emphasize the bombastic zeal characterized by all the Lumberjanes, with vivid, bright colors fleshing out the forest beautifully. 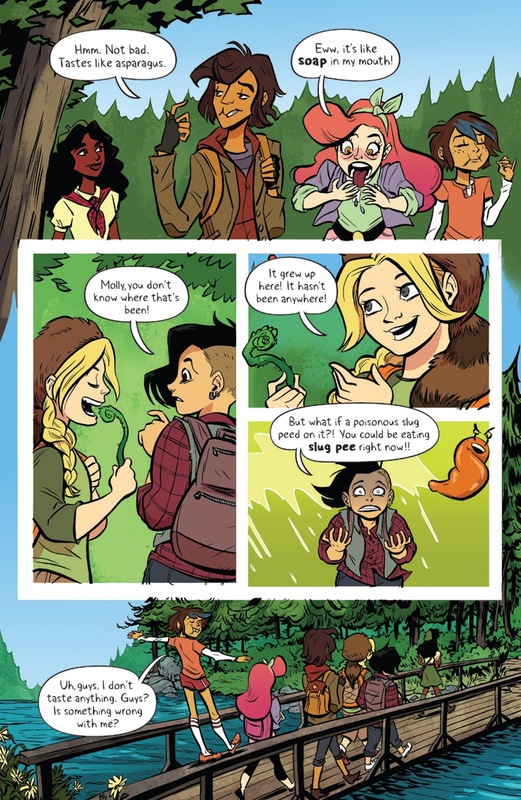 The Lumberjanes series excels at offering a generally all-ages approach to camping and Lumberjanes: Makin' the Ghost of It Special 2016 #1 continues that tradition. The two stories in the issue are related only by their characters, but that doesn't mean that the two of them aren't enjoyable on their own. 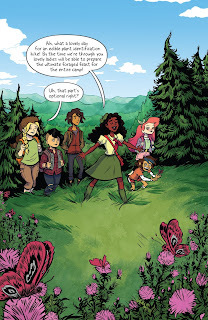 Wang and Thompson both take approaches in their scripts that really capture the essence of the Lumberjanes series and underscore how much fun the characters have. The artwork by Norris and Ganucheau is just as lighthearted and jovial, offering bright looks at all the characters involved. Lumberjanes: Makin' the Ghost of It Special 2016 #1 is a special issue for sure, but it still captures all the fun and spirit of the Lumberjanes series as a whole. 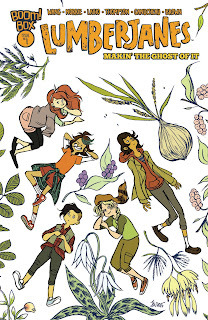 Lumberjanes: Makin' the Ghost of It Special 2016 #1 is in stores May 18.